MicroRNAs (miRNAs) are short non-coding RNA molecules that play a significant role in post-transcriptional gene regulation. Although, hundreds of miRNAs have been identified, recent studies indicate that more remain to be discovered. Identifying novel miRNAs remains a very important aspect to the understanding of their biological roles. 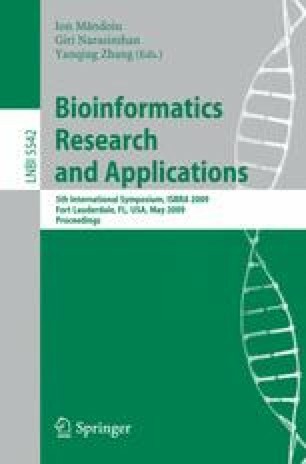 Computational methods can complement experimental approaches and can play an important role in identifying miRNAs candidates for further experimental validation. Most computational approaches utilize features extracted from miRNA precursors (pre-miRNA) sequences and/or their secondary structures to detect miRNAs. A key characteristic of pre-miRNAs is their hairpin structure. In this paper, Fuzzy decision trees are applied to the prediction and classification of real and pseudo pre-miRNAs. In our model, a number of features that encode local and global characteristics of pre-miRNA sequence structure are used. A fuzzy model of the extracted features was constructed. The fuzzified data was then fed into a fuzzy decision tree induction algorithm. Our experimental results showed that our method achieved better accuracy than other machine-learning based computational approaches. Analyzing the results revealed that one of the features –the sequence length to number of basepairs ratio - is very critical to the classification and identification of pre-miRNAs.